When the United Way of Will County opened its doors in 1937 as the Joliet Community Chest, the country was still in the throes of the Great Depression and the Dust Bowl, and World War II was on the horizon. Much has changed since then, yet one thing remains the same — human need. Eighty years later, the United Way of Will County continues to help thousands of people each year by funding 46 social service partner agencies and coordinating relief efforts for specific disasters and crises, while looking for new ways to continue growing for years to come. The United Way of Will County will celebrate its proud history and kick off its future at a special event at 6 p.m. Wednesday, February 1, 2017 at the Rialto Square Theatre in downtown Joliet. Tickets are $50 and can be purchased on the United Way website at www.uwwill.org. Event sponsorships are also available online. United Way has served Will County in many ways, in different organizational structures and even under different banners. Early on, the agency was known as both the Joliet Community Chest and the United Crusade. Still, everything the organization has done and continues to do is based on one simple premise: to unite communities and resources to empower people in our community and create positive, sustainable change. First Midwest Bank President Jim Roolf has seen Will County’s United Way do both. Like most United Way supporters, Roolf’s involvement started through work. The bank was already a big United Way supporter when he started there in 1974, Roolf said. Numerous First Midwest employees already served on the Board. He quickly joined and served as chair of the United Way’s annual giving campaign four times between 2000 and 2015 for a very simple reason. J.D. Ross can speak to United Way’s benefit from personal experience. Ross recalled that his childhood home in East Moline, Illinois was damaged by a major flood in 1967. “The United Way was one of the organizations that helped us,” said Ross, who was Joliet Junior College President from 1999-2006 and Director of the Will-Grundy Medical Clinic from 2006-13. “My dad had died and my mom was a single mom. I always remembered” United Way’s help for his family, Ross said. So when he had the chance to give back to the United Way, he jumped at it with both feet. Ross joined the United Way board in the late 1980s and served about 16 years, sitting on the committee that hired current United Way Chief Executive Officer Michael Hennessy. 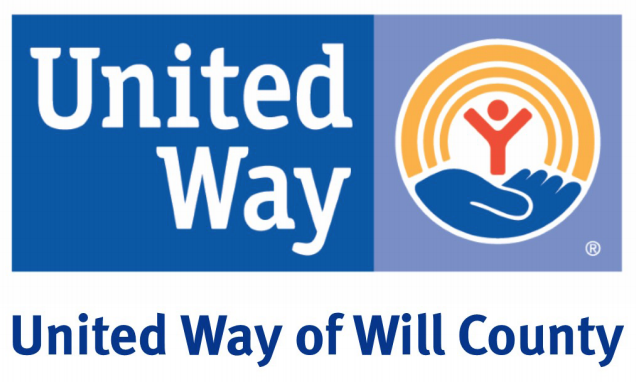 United Way of Will County continues to serve its community in vitally-important ways including residents experiencing times of crisis, whether temporary or ongoing. Perhaps most prominently, that service included coordinating and provide relief for the thousands of people affected by the deadly 1990 Plainfield tornado. The storm – the worst on record at the time — killed 27 people, injured nearly 400 more, destroyed then-Plainfield High School and St. Mary Immaculate Church and left behind hundreds of millions of dollars of property damage. Longtime United Way supporters point to the tornado as a defining moment both for the community, and for the agency. United Way of Will County Chief Executive Officer Michael Hennessy, who had been hired only a year before, recalls the extraordinary way that multiple communities, agencies and governmental bodies worked together. “I can still remember the three mayors (of Plainfield, Joliet and Crest Hill) pulling me aside and asking me if United Way would be willing to help and I said we’d be honored to do it,” Hennessy said. Much of the work done over the next 18 months was to coordinate work among other relief organizations, donations and resources, he said. United Way has provided similar relief for numerous natural disasters in the decades since, including the most recent house explosions in Romeoville and Homer Glen. “It was an eye opener because (the tornado relief effort) went way beyond simply raising money in the workplace, and was testament to the fact that United Way was so trusted,” said former Lewis University President Brother James Gaffney. Gaffney retired last year after 28 years as Lewis’ president. Thanks largely to his personal dedication, support and leadership, Lewis became one of United Way’s perennial leaders. He also chaired two record-setting giving campaigns in the early 1990s. “Of course most of the work is done by the United Way’s wonderful staff, but you see lots of community elements come together, unions and management, Democrats, Republicans,” he said. In fact, Will County Children’s Advocacy Center President Lisa Morel Las first worked with United Way through such an effort. Las was Will County State’s Attorney James Glasgow’s Director of Public Administration in 1995 when he created the Child Advocacy Center. “We needed money to get started and the United Way came in and wanted to be involved as a partner,” she said. That partnership also acquainted her with United Way’s process of vetting all of its partner agencies each year to ensure accountability to their donors and the community. Later, Las worked as Chief Executive Officer of Big Brothers Big Sisters, which got about 25 percent of its funding from United Way. “Without that funding we could not have provided those programs,” Las said. Still, despite its 80 years of good work and long history of well-deserved accolades, the United Way of Will County faces a challenging future. There are changes to what organizations people support, and how they support them – most especially young people. “Younger people prefer to focus on just one thing, and then the next thing,” Las said – for example, the ALS “Ice Bucket Challenge” in 2014 that became a social media phenomenon. “The challenge for United Way locally is to find a way to remain relevant and somehow leverage modern tools and alternatives to gaining resources,” Roolf said. To that end the United Way of Will County Board last year conducted a comprehensive review of its operational model. That process produced a new strategic plan focusing on four key needs categories: self-sufficiency, safer communities, healthy lifestyles and youth success. Now, all of United Way’s funding of its partner agencies will be reviewed and determined as they fit under the categories rather than simply funding each agency independently. Likewise, United Way has stepped up its use of social media to reach new audiences rather than focus solely on workplace giving campaigns – specifically younger workers who don’t have money to give and give differently. “Therein lies the challenge,” Roolf said. “Anyone can create a ‘GoFundMe’ page and get support for their cause. The whole world has accelerated, but we still need to find ways to slow the world down enough to help the people who need help,” he said. “United Way also must reposition itself as a target resource in and of itself, rather than just a clearinghouse to funnel money,” said current United Way Board President and Lewis University Dean of Student Services, Kathy Slattery. “The United way helps make things happen, there’s great need in a diverse world calling us to stay attentive, stay diligent and to be involved at all levels,” said Slattery.